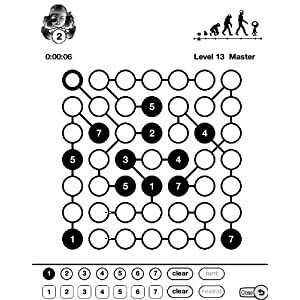 Home > Games	> New Apps for the Kindle – Puzzles, Logic Games and Text-Based Adventures! New Apps for the Kindle – Puzzles, Logic Games and Text-Based Adventures! 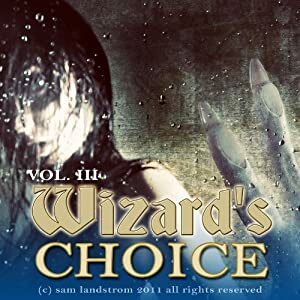 ‘Wizard’s Choice Volume 1 (A Text-Based Adventure for Kindle)‘ by Sam Landstrom (author of Metagame) is available on the Amazon Kindle site for $0.99! Just click here to download! Fortune and glory or death? Your decisions make the difference in Wizard’s Choice, a text-based adventure for Kindle. Stay alive, manage your spell power, find treasure, and smite evil. Wizard’s Choice is an adventure that will engross you in a storyline while allowing you to make the decisions that will determine your fate. Decisions you make early in the game will affect what happens to you and the choices you get to make later in the game. Wizards Choice will track your health, manna, gold, and morale, so you should take care to manage each well. Your score and rank will be shown at the end, and you can replay as many times as you like to try and improve your rank and score. So what will it be? Glory? Fortune? Death? (two out of three, perhaps?) Try making the Wizard’s Choice today! ‘Wizard’s Choice Volume 2 (A Text-Based Adventure for Kindle)‘ by Sam Landstrom is available on the Amazon Kindle site for $0.99! Just click here to download! Ring City conspires against you, or so it seems. Who can you trust? And will you be able to survive long enough to get your vengeance? The answers are up to you in the second installment of the Wizard’s Choice text-based adventure books. 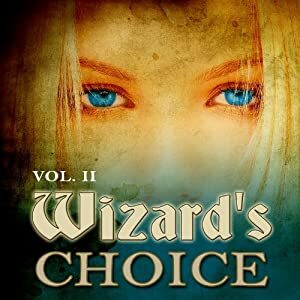 Wizard’s Choice Volume 2 is a book that puts you in the boots of a wizard in a medieval fantasy setting. Stay alive, manage your spell power, find treasure, and smite evil. Wizard’s Choice volume 2 continues the adventure you began in Volume 1. The decisions you make early in the game still affect what happens to you and the choices you get to make later in the game. Wizard’s Choice will track your health, manna, gold, and morale, so you should take care to manage each well. Your score and rank will be shown at the end, and you can replay as many times as you like to try and improve your rank and score. So how did glory, fortune and death work out for you last time? (Maybe you’d rather skip the death part this time around?) Continue making the Wizard’s Choice today with Volume 2 and see where you can take the story! ‘Wizard’s Choice Volume 3 (A Text-Based Adventure for Kindle)‘ by Sam Landstrom is available on the Amazon Kindle site for $0.99! Just click here to download! Fortune and glory or death? Your decisions make the difference in the Version 3 climax of Wizard’s Choice, a text-based adventure for Kindle. 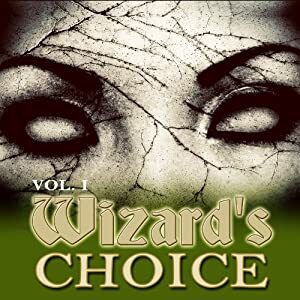 Wizard’s Choice is an interactive book series that puts you in the boots of a wizard in a medieval fantasy setting, and in this installment, an insidious force has infiltrated Ring City and you have caught its attention. What is the nature of this evil and how can you hope to prevail when even the city’s greatest heroes fall before this dark power? Big-time evil smiting in this episode… And something a little unexpected! Make the decisions that will determine your fate. Decisions you make early in the game will affect what happens to you and the choices you get to make later in the game. Wizard’s Choice will track your health, manna, gold, and morale, so you should take care to manage each well. Your score and rank will be shown at the end, and you can replay as many times as you like to try and improve your rank and score. Okay. Enough with the Glory and Fortune stuff. You’ll be lucky to escape death in this, the third and final chapter of the Wizard’s Choice adventure! 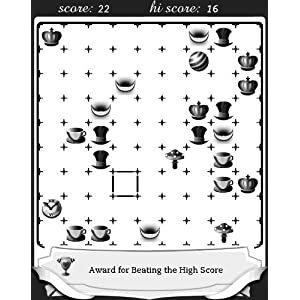 ‘Alice in Crossed Up Land (A Matching Game for Kindle)‘ by 7 Dragons is available on the Amazon Kindle site for $0.99! Just click here to download! Alice in Crossed Up Land is an object matching game that offers an alternative ride through Alice’s world. There are three modes:Match-3, Match-4, and Match-5. The Match-3 and Match-4 Modes have bombs and cups as rewards. Match-5 Mode has quotes from Alice in Wonderland. Match-5 Mode also has a magic ball that will match any object (once per type of object). All objects are from Alice’s world – mushrooms, Tea Cups, Hats, Croquet Balls, and more. Alice in Crossed Up Land is a fun matching game offering something for everyone, but particularly delightful for fans of the Lewis Carroll books. 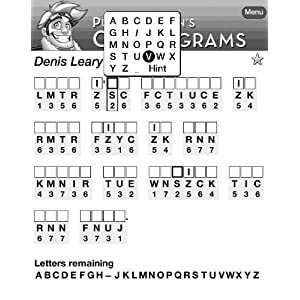 ‘Word Search ’60s (A Puzzle Game for Kindle)‘ by Puzzazz is available on the Amazon Kindle site for $1.99! Just click here to download! Right on! 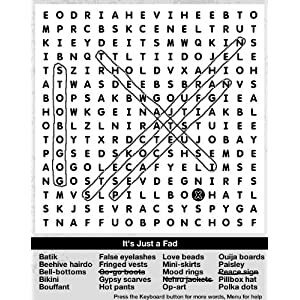 Visit the psychedelic ’60s through word search puzzles with this book of hand-crafted puzzles. Highlighting everything from The Beatles, to tie-dye shirts, to the moon landing, these are some of the best puzzles you’ll find anywhere. Everything in this interactive puzzle book has been designed for ease of use and fun in solving. From the fast and easy navigation, to the eye-appealing highlighting, to the clear instructions and solving tips, no effort has been spared in making a great experience for puzzle lovers. the modern world of music, film, and politics was influenced by those times. ‘Strimko Volume 2 (A Logic Game for Kindle)‘ by Braintonik Games is available on the Amazon Kindle site for $1.99! Just click here to download! Strimko Volume 2 brings you a new collection of 120 puzzles to solve. The object of the game is to place a set of numbers in rows or columns without repeating them in any row or column. Strimko adds a concept of “streams” that crisscross throughout the puzzle. With streams, you must consider not only the rows and columns, but also the streams, and make sure that each contains different numbers. You can choose from four different difficulty levels. Each difficulty level increases the size of the grid you play on: “Easy” has a 4×4 grid, while the “Master” level challenges you with a 7×7 grid. Each of the four difficulty levels has 30 different puzzles, allowing for a total of 120 different puzzles to play. A hint function can also let you keep playing if you get stuck. Challenge yourself and tease your brain as you master the logic required to solve Strimko puzzles! If you like playing Sudoku you will love playing Strimko. ‘Puzzle Baron’s Cryptograms: Volume 3 (Code Breaking Puzzles for Kindle)‘ by A Gamz is available on the Amazon Kindle site for $2.99! Just click here to download! Puzzle Barron’s Cryptograms Volume 3 contains one hundred quotes organized into popular categories like Artists, Athletes and Coaches, Comedians and Heads of State. Special features display the letters remaining in a puzzle and letter frequencies. Three difficulty levels will challenge beginners and seasoned players alike, and there is a hint option if you get stuck. When you finish the puzzle, you’ll see a graph showing how your time compares to other people who have completed this puzzle and the number of hints taken if any. FREE Christmas Holiday Song Download ‘Deck the Halls’ by Twisted Sister (Amazon’s 25 Days of FREE) NOOK Daily Find! Final Justice (Love Inspired Suspense Series) by Marta Perry for $1.98!